Féroé (Iles) - Faro Islands. Faro Islands. 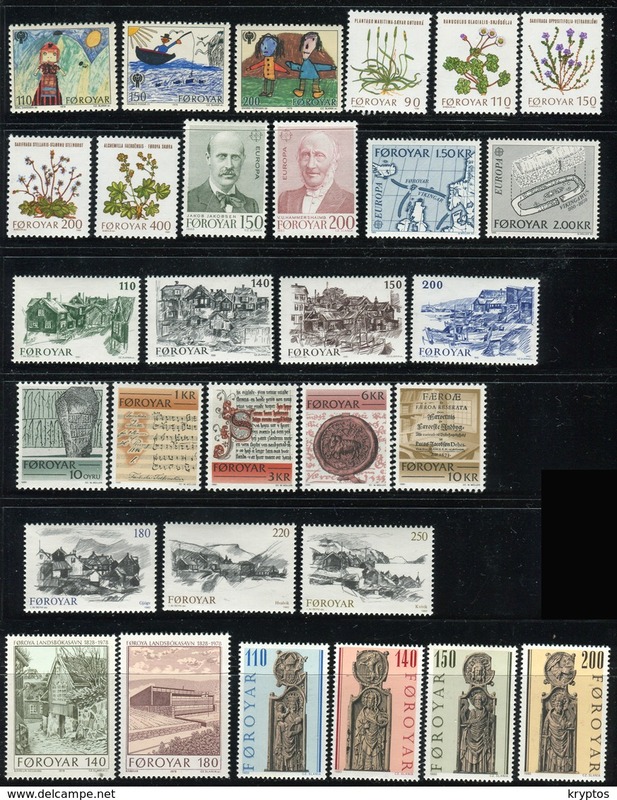 A collection of MINT stamps (Value: more than 60 Euros). Payment through Paypal, Skrill or cash in US$, Euro or Dkr. PAYMENT MUST BE DONE WITHIN 10 DAYS. Please WAIT for INVOICE BEFORE YOU PAY!!! PLEASE READ MY SALES CONDITION BEFORE SELECTING ITEMS!! Buyer pays shipping (P&P). Await INVOICE BEFORE payment. Payment before shipping. 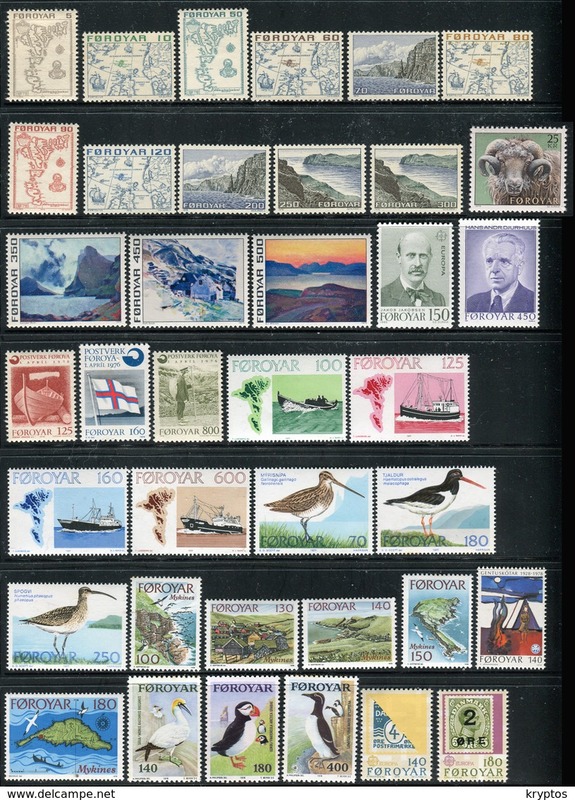 Faroe Islands 1995 - Birds - Complete Book with 10 Stamps!!! Faroe Islands 2000 - Christmas - Complete Books with 12 Stamps!!! Faroe Islands 1996 - Birds - Complete Book with 10 Stamps!!! Faroe Islands 1998 - Birds - Complete Book with 10 Stamps!!! Faroe Islands 1984. Complete Booklet with 6 Stamps ** "Fairy Tales"